1. The novel stars female characters who grow in their roles as artists, lovers, and revolutionaries. How do you feel about the moments where a woman’s dilemma is central to the novel? 2. Texts are layered in the novel: two dueling scripts are framed by a mystery novel, which in turn is framed by the story of a forgotten history. It could be said that history is an overriding frame for this novel’s plot. What do you think is the novel’s idea of history? How do the layered texts and multiple plotlines relate to this idea? Why did the author choose a layered structure to explore this concept of history? 3. What do you feel about Casiana Nacionales? 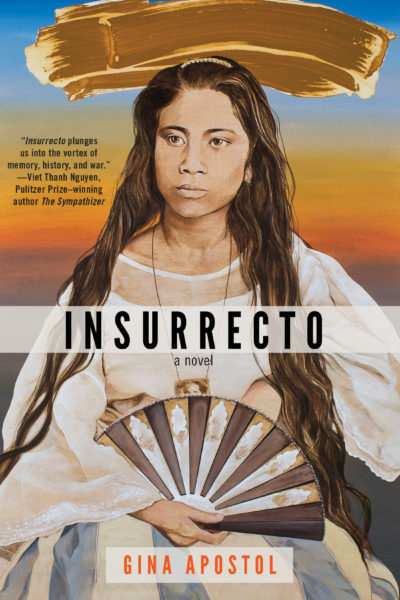 How different would the novel and the events of Philippine history be without her? 4. Where do you think Magsalin is writing the script of the movie? On the other hand, when can you tell that it’s Chiara writing? What are the similarities and differences between them? 5. How does humor play a role in the book? How does it affect your reading of the story? 7. Why Elvis? Why is Elvis included in this novel about colonization?